In the world of eleven to ten, there's nothing quite like Super Bowl week. In this case, it's two weeks, as the teams have two weeks to prepare for the Big Game. For example, you can bet on the exact score of the game by each team, who will score first, or how many yards a player has. 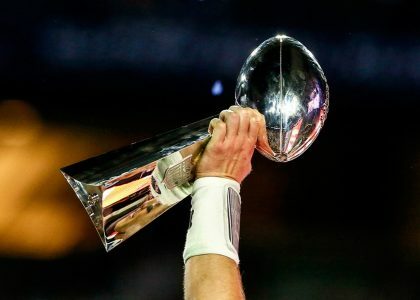 A common prop on all the NFL playoff games is “The shortest TD will be over/under 1.5 yards.” If you had OVER in the Super Bowl two years ago you would have been pulling your hair out after Pete Carroll/Darrell Bevel decided to pass from the one-yard line with 24 seconds left instead of handing off to Marshawn Lynch. Three TDs in the game were from the 3, 4 and 4 yard lines. Three years ago Seattle to win by 22 or more points was 12-to-1 odds and the first scoring play to be a safety was 35-to-1. Both cashed. Total combined QB sacks was projected at over/under 4.5….and would you believe there was only 1 sack (Peyton Manning) in the Super Bowl? Four years ago passing yards by Joe Flacco was set at 247½ (he threw for 287). Five years ago QB Tom Brady was projected over/under 300 yards and 2.5 TDs (he finished with 276 yards, 2 TDs, going under for both). Six years ago, Green Bay QB Aaron Rodgers’ TD passes was over/under 2 (he threw 3 against Pittsburgh). His first pass to be incomplete was +210 (it was). Ten years ago, if you bet on Chicago return specialist Devin Hester to score the first touchdown of the game you would have cashed a 25-to-1 prop ticket after he returned the opening kickoff 92 yards. 14 seconds in cashing a 25-to-1 ticket is the best way to watch a Super Bowl! You can wager that no TDs will be scored by either team, often at 50-to-1. Of course, that has never happened as we head to Super Bowl 51 next week. There also has never been overtime, though you will be able to wager on “Will there be overtime or not?” There will be “over/under” lines offered on how many touchdown passes a quarterback might throw, the first team to turn the ball over and even the coin flip. There will be creative wagers offered such as how many receiving yards one player might get matched up against the number of points the NBA’s Chris Paul will have as the Clippers/Celtics battle before the Super Sunday kickoff . The Super Bowl brings out the best in the creative minds of oddsmakers. Smart bettors will search through all the props, totals and side bets offered in an attempt to find an edge and add to their bankrolls. Since Super Bowl X in 1976 between the Steelers and Cowboys, there have been 24 “overs” and 17 “unders.” Why so many “overs?” One factor is that coaches with a lead are less likely to sit on the ball in the second half in a Super Bowl. If a team is up 17-0 at the half of a December game, for example, a coach might be inclined to go conservative, run the clock and avoid injuries. In the postseason, it’s the final game of the year and no lead is safe. No coach wants to play super-conservative and be remembered as the guy who blew a 20-0 lead in the biggest game of his career. Since it’s the last game of the season, coaches often put in trick plays and new offensive wrinkles in an attempt to maximize scoring opportunities. Despite the excessive “overs” you can’t overlook the importance of defense. The Seahawks went to two straight Super Bowls with incredible defense despite being a Super Bowl an underdog to the record-setting Denver offense. Denver turned the trick a year ago with a powerhouse defense that won as a dog to Carolina. Five years ago the Saints and Packers didn’t win a playoff game despite all those flashy offensive numbers, while the defensive-oriented Giants, 49ers and Ravens made it to the Final Four. In 2008 and 2012 the big story was the flashy offense of the Patriots as a favorite each time, but who came out ahead? The great defense of the Giants kept the game close and was the main reason in their 17-14 and 21-17 victories. 14 years ago the No. 1 offense (Oakland) faced the No. 1 defense (Tampa Bay)? Oakland’s great offense was a 4-point favorite, but Tampa’s defense dominated in a 48-21 rout. In fact, eight of the last 15 Super Bowl champs have had statistically better defenses than their offenses, including the 2015 Broncos, the 2005 Steelers (4th in defense) and ’08 Steelers (No. 1). Five of those champs, the 2001 Patriots, the ’02 Buccaneers, the ’07 Giants, Seahawks and Broncos, were Super Bowl underdogs. Key numbers will come into play, as well, as books are petrified of getting middled. 14 years ago the Rams were a 7 to 7½-point favorite against the Titans. The Rams won by seven points, 23-16. The most famous example was in 1979, forever known in Las Vegas as “Black Sunday.” The Steelers opened a 2½-point favorite over the Cowboys, were bet up to 5, then back down to 4. Books everywhere were sick when the Steelers won, 35-31, landing on the dreaded ‘M’ word.